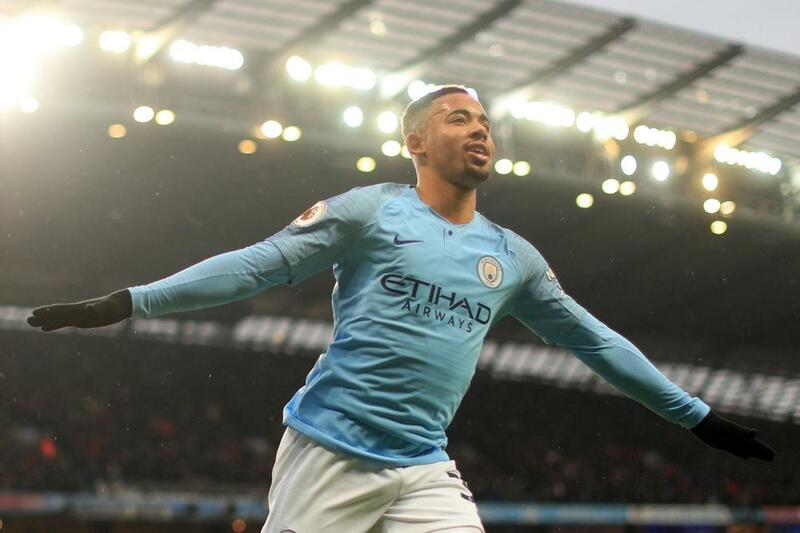 Gabriel Jesus ended his 11-game Premier League goal drought with a brace as Manchester City bounced back from their defeat at Chelsea with a 3-1 victory over Everton. Jesus had not scored in the league since August but, with Sergio Aguero among the substitutes after recovering from a groin injury, the Brazilian striker led the line superbly as Pep Guardiola's side returned to the summit. Everton's Dominic Calvert-Lewin scored to cut a two-goal deficit in half but substitute Raheem Sterling, who was allegedly the subject of racial abuse from supporters at Stamford Bridge a week ago, scored the game's crucial fourth goal. The result sends City back on top of the Premier League until Liverpool play Manchester United on Sunday, while Everton are now winless in four games. Richarlison missed a fine opportunity to put Everton ahead when he arrived unmarked at the far post but volleyed Bernard's cross high and wide, failing to apply the spectacular finish he intended. We've got a game! Everton get 1 back. The Toffees were shaping up to give City a tough game only to concede a sloppy opener, Yerry Mina's clearance leading to Leroy Sane playing in Jesus, who guided the ball under the body of the advancing Jordan Pickford. Pickford made a superb save from Riyad Mahrez at close range before the break but could do little with City's second goal five minutes into the second half, Jesus meeting Sane's curling ball with a clinical header that flashed beyond the England goalkeeper. There was a mix-up in the City defence when Lucas Digne's looping cross was headed down into the net by Calvert-Lewin via a deflection off Fabian Delph, but Sterling dismissed any ideas of a comeback. Less than four minutes after replacing Sane, the forward ghosted into the six-yard box to head home Fernandinho's cross from City's left flank.